ESY is not the same thing as summer school. It is specialized instruction or related services that are a part of your child’s IEP. It is offered most typically during the summer school vacation period. The services are individualized to help each child maintain his skills and not lose the progress he’s made toward his goals. For some kids, this may mean one-on-one tutoring. For others it may be a few sessions of occupational therapy or speech therapy each week. What ESY looks like for your child is a decision made by his IEP team. Who is ESY meant for? Not every child with an IEP requires an extended school year. All children "regress"--lose progress, forget, revert to previous behavior--to some extent between school years. It must be determined whether a child's regression would likely be substantial, and whether the child would require a greater than usual time to "recoup"--to get back to the level the child had achieved before a break in service. Decisions about ESY programs must be made on an individual basis, taking into consideration the unique needs of the child. What is the cost to me if my student needs ESY? If ESY is included in your student’s IEP as a required service, it is at no cost to the parents/guardians. When does the school need to decide if the student needs ESY? At least once annually the child's Team must consider the need for an extended school year program and record its determination in the child’s IEP. A Team's determination regarding the need for an ESY program must be made on an individual basis. How do I figure out what my school district looks for in deciding if a student needs ESY? Every school district must have a written policy and procedures regarding the provision of extended school year programs. The policy and procedures must detail the criteria used by a Team for individually determining the need for ESY programming. In order to ensure consistent staff implementation of its ESY policy, each school district must train all staff involved in Team evaluations to implement the ESY policy and procedures. WHAT IS THE DIFFERENCE BETWEEN AN EDUCATIONAL DETERMINATION AND MEDICAL DIAGNOSIS OF AUTISM? Parents are often surprised to learn that a medical diagnosis of Autism Spectrum Disorder (ASD) does not automatically entitle a student to special education services under the Individuals with Disabilities Act (IDEA). It is important for parents to understand the differences between a medical diagnosis and an educational determination of eligibility for special education services so that they can appropriately advocate for their children. People with ASD tend to have communication deficits, such as responding inappropriately in conversations, misreading nonverbal interactions, or having difficulty building friendships appropriate to their age. In addition, people with ASD may be overly dependent on routines, highly sensitive to changes in their environment, or intensely focused on inappropriate items. Again, the symptoms of people with ASD will fall on a continuum, with some individuals showing mild symptoms and others having much more severe symptoms. This spectrum will allow clinicians to account for the variations in symptoms and behaviors from person to person. A medical diagnosis of ASD is made by a doctor or other specially trained clinician by using symptom criteria set in the American Psychiatric Association’s Diagnostic and Statistical Manual, Fifth Edition (DSM-5). DSM-5 eliminated the subcategories established in the DSM-IV and grouped all the conditions under the name of Autism Spectrum Disorder. Under the DSM-5 criteria, individuals with ASD must show symptoms from early childhood, even if those symptoms are not recognized until later. This criteria change encourages earlier diagnosis of ASD but also allows people whose symptoms may not be fully recognized until social demands exceed their capacity to receive the diagnosis. It is an important change from DSM-IV criteria, which was geared toward identifying school-aged children with autism-related disorders, but not as useful in diagnosing younger children. Under DSM-5 the doctor/clinician is looking for symptoms that limit and impair everyday functioning, but this should be interpreted broadly. Is there a disability? IDEA requires that the student have at least one of the fourteen specified disabilities and need special services. Is the student not making effective progress due to the disability? It is possible for a student to have a medical ASD diagnosis but not qualify for special education services. If this is true of your child, consider a 504 Plan where they could qualify for other services, such as accommodations. Does the student need specialized instruction to make effective progress? What related services does the student need to access the general curriculum? Mental illness is common but it is often misunderstood. Many people make generalities about mental illness. They tend to think that all mental illnesses are the same. A particular mental illness may tend to show a certain range of symptoms, not everyone will experience the same symptoms - for example many people with schizophrenia may hear voices, while others may not. Mental illnesses are not purely 'psychological' and can have many physical features. While a mental illness may affect a person's thinking and emotions, it can also have strong physical effects such as insomnia, weight loss or gain, increase or loss of energy, chest pain and nausea. When you are told for the first time that you have a mental health diagnosis, it’s hard to understand what that means. Many people instantly think of how mental health issues are portrayed in movies and on television. Many are scared of how others will now treat them. They struggle with comprehending what this diagnosis means for their day to day life. Will they get better or will it get worse? Is there a way to cure and/or mitigate the diagnosis? Are they now considered “crazy”? Sometimes it is harder for the individual to share with their family and friends their diagnosis than being told about the diagnosis. Words matter. When a loved one tell you about their diagnosis, be mindful of your response and what words you use to respond. It was not easy for them to share this information with you and how you respond is going to set the tone for any future relationship you may have with them. It is important to remember that your loved one is the same person – they are just dealing with a diagnosis. Do not make the mistake of thinking that this individual is now their diagnosis. Always think of the individual first. This will help you minimize making stereotypes and assumptions. Your loved one needs support but sometimes they don’t know what type of support or how much they need. Be understanding while they work out their needs. They need to figure out how to deal with their symptoms and what their goals are in regards to their diagnosis. People who live with mental health issues are strong. Their strength may not be overt but it takes strength to get and make it through the day each day when you have to put in extra effort that no one else is aware of. Be supportive in your words and in your actions. It is normal for children and youth to experience various types of emotional distress as they develop and mature. Let’s be honest, today’s youth are dealing with a wide assortment of topics and stressors that many of us did not experience when we were there age. There is widespread cyberbullying, drug exposure, immigration issues, unstable home lives, body shaming, community violence and abuse just to name a few. 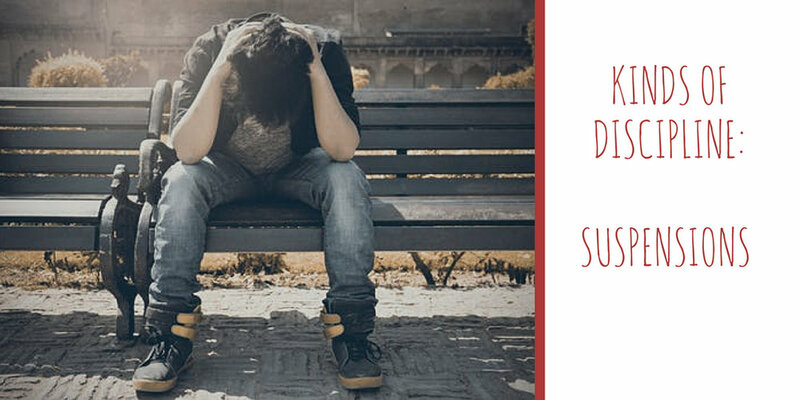 Some students are not equipped with the “tools” to effectively handle their emotions in situations. Sometimes these students will act out in school, not to get attention but to get help and guidance. As a society we need to look more closely at these “difficult” students to figure out if there is an underlying issue or if it is typical ‘kid’ behavior. When symptoms persist, it may be time to seek professional assistance. It’s okay to make mistakes. Unfortunately, when you child is born the hospital does not send you home with a manual on how to raise them and address issues that might pop-up. Remember that you are human and you will make mistakes and its okay. Seek out parent support groups so that you can interact with other parents who are dealing with similar struggles. Keep trying until you find the thing(s) that work best for you and your child. Conversation Matters. Let your child know that they can speak to you about anything they are thinking about without judgment. Let them know that you are there to help them with their thoughts, feelings and/or situations they are dealing with. Be sure you do not get angry or pass judgment. Really listen to what they have to say – you do not have to agree with them but they need to know you hear them. Depending on what they express to you, it may be wise to seek professional support for them. Start Fresh. Do not allow other colleagues opinions of a student cloud your judgment before you get to know the student yourself. Develop your own relationship with the student and ask them what works well for them when they are struggling. Use your experience to guide you not to limit you. As a former teacher, I can still remember the names of the most “difficult” students that I worked with. I had to constantly remind myself that each student is different and just because Billy and Johnny have the same behaviors, it does not mean the same techniques and approaches that worked for Billy will work for Johnny. Be Patient. Most of my “difficult” students wanted to do well in school and wanted a positive relationship with me and their peers. I disagreed with colleagues who called these students “slackers” and/or “trouble makers.” I sometimes had to remind myself that turning in a worksheet might not be high up on the student’s to do list especially if they are dealing with abuse and/or neglect at home. I would find the good in what the student did and praised it so that they knew I was paying attention and their had work was not being overlooked. Be supportive. Review your student’s IEP to see what suggestions are stated therein. Reach out to the school’s guidance counselor and see if there are any evidence-based programs that you could easily implement into your classroom routines. It would not only support your “difficult” child but the entire class as a whole. When should you seek additional support? If it's an emergency in which you or someone you know is suicidal, you should immediately call the National Suicide Prevention Lifeline at 1-800-273-8255, call 911 or go to a hospital emergency room. If you can wait a few days, make an appointment with your primary healthcare provider or pediatrician if you think your child's condition is mild to moderate. If your child's symptoms are moderate to severe, make an appointment with a specialized doctor such as a psychiatrist. You may need to contact your community mental health center or primary health care provider for a referral. What rights do you have if your student is being disciplined? The school must contact you in your preferred language. The school must offer to meet with you to discuss the situation and the consequence. The school must allow your student to make up missed work if they are suspended. The school is supposed to use discretion in deciding a consequence/resolution of the issue. In-school suspension (removal from classroom) no more than 10 school days each year. The school must notify you – in you in English and your preferred language – that it is suspending your student. The school must offer to meet with you on the day of the in-school suspension. Before suspending, the school must tell your student the reason it thinks they broke the rules. Your student has the right to tell their side of the story. IF the school decides your student broke the rules and suspends them, the school must offer to meet with you to discuss your student’s academics, behavior and the best ways to get them back on track. Your student must be allowed to take any quizzes/tests missed during the suspension. Short-term suspension (removal from the school) no more than 10 school days each year. BEFORE the school can suspend your student, the school must notify you – in English and your preferred language – and invite you to a hearing. At the hearing, the school must tell you why it plans to suspend your student and for how long. Your student has the right to tell their side of the story. If the school decides that your student broke the rules, you can suggest consequences other than suspension that better address the situation. For example, if your student allegedly vandalized a classroom; you could suggest that the student spend twenty-hours cleaning the school and/or school grounds. IF your student was suspended once or several times over a school year for more than 10 total days, it counts as a long-term suspension and you have more rights see below. Long-term suspension (IN or OUT of school) more than 10 school days per year, served either consecutively or cumulatively. At the hearing, the school must tell you why it plans to suspend your student and for how long. Your student has the right to tell their side of the story. You have the right to bring an attorney or an advocate to the hearing. You have the right to present your own evidence, question the school’s witnesses and bring your own witnesses. If the school decides that your student broke the rules, the school must show that it tired an alternative to suspension before it can suspend. For example: mediation, conflict resolution, positive interventions/supports and restorative justice. If you disagree with the school’s decision, you can appeal it. The school must put in writing their reasons for suspending your student and explain how you appeal. You have five (5) days to appeal unless the school agrees, in writing, to a longer time period. Your student has the right to be educated during the suspension. If your student is being suspend for more than 10 days in a row, the school must provide other academic options to your student. A valid will can fulfill several purposes. A will directs the distribution of the signer's probate estate after the signer's death. It nominates fiduciaries, provides the fiduciary with the authority they need to act and it disposes of probate assets. The will nominates a Personal Representative who will guide the estate through the probate process. Drafting a Last Will and Testament is not an enjoyable task for many of us. Once we draft a will, we tuck it away some where safe and forget about it. That’s not advisable. There are many reasons for you to pull out that Will and review it every three to five years. You had children and they are not listed in the existing will. You need to name a guardian for your minor children or maybe you want to change the person you selected. You had minor children when you drafted the existing will and now they are grown with their own children. The people you named in the will as beneficiaries are deceased. If you moved to a new state you need to make sure your will confirms with the requirements of your new state. Each state has its own legal requirements for drafting and executing a Last Will and Testament. You want different people to fulfill the roles necessary… personal representative, guardian, etc. Never try to change a will by writing in the margins, crossing out words, lines, or sections of the original will. This only invites confusion, and is likely to lead to drawn-out conflicts over your will. Always seek out the advice of a local attorney. Sometimes you can just add a codicil to your Last Will and Testament. A codicil is a separate document that adds to or replaces one or more provisions in an existing will while leaving the rest of the will untouched and valid. It is important for your education advocate/attorney to meet the student. Most of the time this can be done at home or at the advocate/attorney’s office. In order to advocate zealously for the student, we need want to have a sense of who the student is as an individual so that we can better understand their educational strengths and difficulties. This will help us understand whether or not their current IEP goals and benchmarks are both unique and complimentary to the student. Another reason it is important for your advocate/attorney to get to know the student is so that the student’s voice is heard. Maybe they don’t like math and their struggles are not the result of an unidentified learning disability but instead their disinterest. Maybe they are experiencing bullying and are too embarrassed to tell their parents/guardians. The student’s relationship with the advocate is just as important as the advocate’s relationship with their parents/guardians. Sometimes what is in the best interest of the student is not what the parents/guardians want so it will be vital to have some insight to what the student wants to help resolve any real or perceived conflicts. Education Advocates/Attorneys are great to help the student and their parents/guardians through a tough situation. We can help you carefully read your student’s school records, testing, and IEP. We can help you draft letters to the appropriate school personnel. We can help you prepare for an IEP meeting ~ in some instances we may even attend the meeting with you. We can often see solutions not immediately obvious to other people. We can be neutral parties to help break the tension and distrust that may exist between the interested parties. We can provide information about special education options, requirements and programs. However, our goal is to educate the parent/guardian so that they understand the special education process. This way the parent/guardian can become a better advocate for their own student. Transition plans for a student’s post high school life. Transition planning should focuses on the student’s academic and non- academic courses and learning experiences, employment and related training opportunities, as well as their community living, and leisure activities. An accurate and thoughtful assessment of a student’s abilities and interests. Clear, measurable goals related to his or her post-secondary aspirations. Appropriate support and services to help them achieve their goals. Parents often have to take on the burden of making sure their children are getting the support they need to meet their transition goals because schools simply don’t devote enough resources to this part of special education. Some schools have a full-time coordinator focused on transition services. More commonly, special education teachers — who already have a full teaching load — are in charge of overseeing transition plans. Massachusetts Department of Elementary and Secondary Education on Special Education: Transition from School to Adult Life. NEXT-GENERATION MCAS...IS YOUR STUDENT READY? Whether we like it or not, MCAS is here to stay; at least for the foreseeable future. Beginning in Spring 2019 the new version of MCAS called “Next-Generation MCAS” will be given to all grades and it will be administered exclusively on computer (with paper versions as accommodations). Next-Gen MCAS is the first major revision of the MCAS test since it was first administered. The next-generation MCAS is designed to assess whether a student is prepared for academic work at the next level and is therefore forward-looking. The current MCAS remains a requirement through the class of 2019. Why is there a new version of MCAS? The new version combines the ‘best’ features from PARCC and the almost twenty-year-old MCAS assessment. The new version is meant to align with the Massachusetts Curriculum Frameworks, introduces new types of questions/items to more “deeply assess the standards”; focuses on students’ critical thinking abilities, application of knowledge and ability to make connections between reading and writing. Next-Gen MCAS still focuses on English Language Arts (ELA), Mathematics and Science and Technology/Engineering. The tests results are meant to provide reliable feedback on whether students are on track for success after high school. Every student receiving a publicly funded education in Massachusetts, regardless of the setting, must participate in MCAS testing. For students with an IEP or 504 Plan, the Team decides how the student will participate: without accommodations, with accommodations or MCAS-Alt. 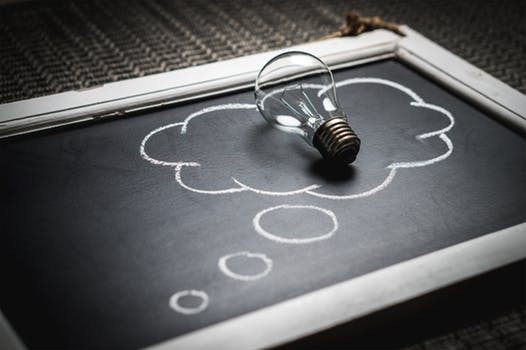 Universal Accessibility Features (UF): These modifications to the test environment are available to ALL students and include the use of highlighters, scratch paper, untimed test and repeating or clarifying instructions. Designated Accessibility Features (DF): These modifications include things such as small group testing, different testing room/setting; 1:1 testing; and allowing student to have frequent breaks. These flexible test administration procedures may be used with ANY student, at the discretion of the principal. You may specifically ask for DF items on your child’s IEP – put it on the ‘additional page’ of the IEP. Accommodations (A): Accommodations have not been changed. Students with disabilities are still able to incorporate accommodations that they need and use routinely in the classroom. The Team should list these accommodations on the child’s IEP/504 Plan. For more information about accessibility features and accommodations click here. Please visit the Massachusetts Department of Elementary and Secondary Education's website to learn more about the Next-Generation MCAS' scoring by clicking here. Reach out to your child’s teacher and find out where your child needs to focus/practice; ask about MCAS prep classes and/or other opportunities being offered by the school/district to help support students who are not succeeding according to the test’s results. Review your student’s IEP/504 Plan to make sure that it identifies individualized, specialized instruction or support that allows them to both access and learn the general curriculum as well as any skills required to make progress with the general curriculum. Sometimes we try to shield our children from ‘undue stress.’ We highly recommend that you do not pull your student from lower grade MCAS testing. Allow them to participate and see what it is like to sit for the test. By the time they get to high school, where the test results have the most impact and consequences, you do not want them trying it for the first time. Remember students with disabilities must pass MCAS and fulfill all other graduation requirements in order to receive a diploma. A recent decision by the U.S. Department of Education (Department), Office for Civil Rights (OCR) , warns schools of the risks of using School Resource Officers (SROs) in educational situations. In this case Lynn used an SRO as a “support person” in dealing with a student whose behavior had quickly declined. During the 2014-2015 school year, the Student who was at the center of the complaint was on an Individualized Education Program (IEP) for an emotional disability. The Student was known to perseverate on problems and had focus issues. The IEP indicated she needed guidance to learn how to successfully regulate her emotions and would need to meet with the school adjustment counselor. The first half of the school year, until about January, passed without incident or concerns. Beginning in January 2015 and more noticeably in February, the Student began to decompensate. She struggled with her academics; she had an increase in absences, tardies and dismissals; and was suspended at least 12 times during March and April for violations such as refusal to go to class, disruptive and disrespectful behavior, swearing, and wandering the halls. By comparison, the Student had no suspensions at the start of the school year. At a Team meeting held at the start of May, it was determined that the behaviors resulting in the Student’s suspensions were related to her disability. It was also decided that the District should conduct a FBA and a 45-day assessment, but the team could not agree on a place for the assessment. The District wanted to place the Student at their in-district school for “educationally at risk Students who have not been successful in a traditional high school setting.” The Student and her representatives requested an out-of-district assessment and placement. Since an agreement could not be reached, the team agreed to reconvene a week later to determine an appropriate placement. Prior to the second meeting, the Student once again had difficulty attending class. The Student went to the vice principal’s office and the SRO was called to assist. The social worker and vice principal explained to OCR that the SRO was often called as an additional support member for the Student to talk to. The SRO’s report from the incident stated that the Student’s refusal to attend class had been an ongoing issue in the school year, indicating he had some awareness of the Student’s challenges. The SRO brought the Student down to his office, where the school social worker stopped by. According to records and interviews, the Student became loud and squirted hand sanitizer on the social worker. The social worker left to go get the principal. The principal asked the Student to clean up the hand sanitizer and when he handed her paper towels, the Student smacked his hand away. The SRO then arrested the Student and removed her from the building. Following this incident, the Student did not return to the school. So what is the role of the SRO in the District? To better understand the role of SROs in the District, OCR requested any policies and documentation related to SRO involvement in the school. In response, the District provided OCR with a copy of a Memorandum of Understanding (MOU) between the District, the Lynn Police Department, and the Essex County District Attorney’s Office to “coordinate their response to violent, delinquent or criminal acts by Students, including weapons reporting and alcohol and other drug use, that occur on school premises, school buses, or at school-related events.” The MOU does not address the presence of SROs in the District. The MOU did not address nor did the District have any other internal policies related to District staff engaging an SRO with routine discipline matters. The District also stated that it did not maintain any records related to SRO involvement with Students in the school. The Student’s informal supports included check-ins with the SRO, whom District witnesses explained was “often” called upon as a “support member” for the Student. The District continued to involve the SRO to provide support services to the Student after concluding that the behavioral issues (including combative behavior) were a manifestation of the Student’s disability – and prior to conducting further evaluation or changing the Student’s services to address her needs. While the SRO was a support person for the Student, the District should realize that involving an SRO in non-criminal matters comes with an added risk to the Student because the SRO’s primary responsibility is law enforcement and not ensuring a Student with a disability is provided with a FAPE. Here, the SRO arrested the Student for behavior that was similar to the behavior that only days before was found to be a manifestation of the Student’s disability – but which remained unaddressed by the District at this time. While a Student with a disability can be referred to the police for criminal behavior, it appears everyone noted that the Student was struggling and nothing had been done yet to assess how to address her needs when she was arrested. The District also lacked any policies on the involvement of SROs with Students with disabilities, and in this case, it does not appear that the SRO was made aware of the team’s manifestation determination. “Without clear policies, procedures, and record keeping with regard to SRO involvement with Students, the District cannot ensure that its use of SROs does not discriminate against Students with disabilities by, e.g., resulting in further exclusion for disability-related behavior.” Although this does not create clear guidelines that should be implemented in Districts across the Commonwealth, it does clearly put districts on notice of the risk of involving SROs in school matters that do not include criminal behavior. This is an area that will need to be monitored across the Commonwealth. So have you ever stopped to think about what will happen if you die? Now I'm talking about the philosophical argument about heaven/hell. I'm talking about what will happen to the people and things you leave behind? Being proactive and planning for your family’s future is a necessity in today’s world. If you do not take the time to plan, the state will step in and dictate what happens to your minor children and your worldly possessions. Wouldn't you rather be in control of what happens? 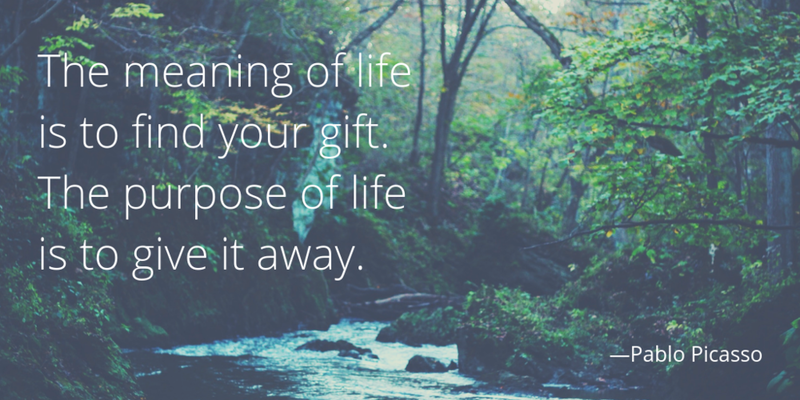 A will can fulfill several purposes. It nominates fiduciaries, provides the fiduciary with the authority they need to act and it disposes of probate assets. The will nominates a Personal Representative who will guide the estate through the probate process. A durable power of attorney is a document whereby one person, the principal, appoints another person, the agent or attorney-in-fact, to act as his or her attorney-in-fact. The person serving need not be an attorney so, to some extent, the term “attorney” is a misnomer. The attorney-in-fact, in effect, stands in the shoes of the principal and acts for him or her on financial, business, or other matters. A Health Care Proxy is a legal document that allows you to name someone you know and trust to make health care decisions for you if, and only if, you are unable to make or communicate those decisions yourself. A living will sets forth the specific written instructions of the principal regarding his or her treatment preferences in various hypothetical situations. Living wills tend to focus on end-of-life situations and decisions about pursuing or terminating treatment, including life-sustaining measures. The Homestead Act allows Massachusetts homeowners to protect their home from future creditors. The Act was updated and effective as of March 16, 2011. The updated Act allows homeowners to choose between an Automatic Homestead, which is effective without a written declaration and a written Declaration of Homestead. The amount of the Automatic Homestead protection is $125,000. When a written Declaration of Homestead is filed the exemption increases to $500,000. Both the homeowner and his/her spouse must sign the declaration form. Pick up almost any parenting magazine and you'll read that when parents are involved in their child's education; their child does better in school. So what are some tips and tricks to make sure you are appropriately involved and effectively communication with your child's classroom teacher and/or supports? Start each new school with a positive presumption that the school, the teachers, and any/all of the supports that interact with your child has the best intentions towards your child. Remember no one goes into education with the intention of harming or otherwise interfering with a child's potential. Be open with you child's teacher - tell them about your child's strengths/weaknesses as a student; what do they like/dislike about school, what motivates your child when they are having difficulty. Don't paint an unrealistic or slanted description of your child. Tell them what your hopes are for your child as well as your fears. Early in the school year, establish regular avenues of communication - maybe its a weekly email, notes back and forth in your child's daily planner or whatever else is most convenient for you and the teacher. Be realistic with your expectations! Your child's teacher means well and will try their best but they have a lot of things to accomplish in a day. If there is a disagreement - stay focused on the child, focus on positives/strengths, be clear about goals, listen, ask questions and clarify. Try to break the tension by asking How and What questions... how can we provide more supports so that she is not out of her Reading class daily? What are some of Jane's skills in reading that we we can build upon to strengthen her skills in....? Many children have difficulty with reading, writing, or other learning-related tasks at some point, but this does not automatically mean they have learning disabilities. A child with a learning disability often has several related signs, and these persist over time. The signs of learning disabilities vary from person to person. Difficulty with reading and/or writing. Problems paying attention (staying focused). Difficulty remembering information and time-related skills/tasks. 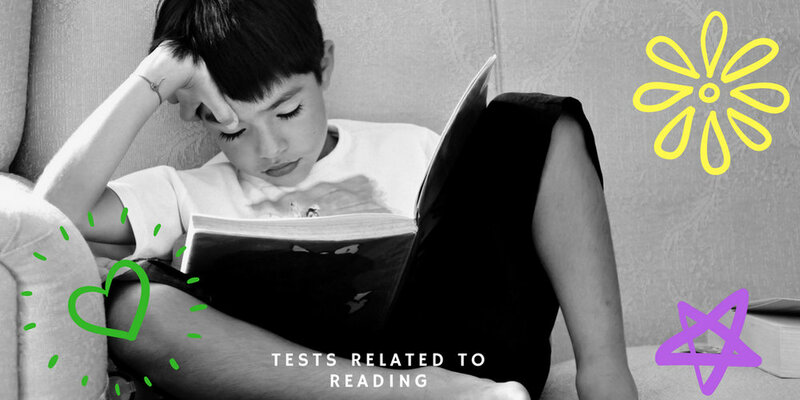 If your child is having difficulty with reading and has some of the common signs identified above, speak to their teacher about having them evaluated. Reading is considered by many to be the most important literacy skill. When your student is in the elementary grades, most of their school day focuses on skill acquisition in reading. When your student moves on to junior and high school, it is presumed that they have reading skills. Your student receives the majority of their content subject information via reading. Reading is often an area of difficulty for students with disabilities. Young students may not learn the basic skills of reading at the expected rate; they may fall behind their classmates in their ability to decode and understand the written word. Older students who struggle may lack the skills needed to use reading as a tool for learning other skills and subjects. Reading should be an area of major concern in special education assessment. The Team should be asking “What is the student’s current level of reading achievement?” and “What are the student’s strengths and weaknesses in the various skill areas of reading?” The student’s reading skills should not be assessed solely to determine eligibility for special educations services but also for planning instruction… what does the student need to be successful? Informal assessments of a student’s ability to read happens daily and across the subject matters in both general and special education classes. For questions about the mastery of specific academic skills, such as reading; the most valuable information sources may be criterion-referenced tests, informal inventories, classroom quizzes and teacher checklists. Please note that informal assessments may not be used to determine if a child is eligible for special education. There are several informal assessments that can be used to evaluate a student’s reading ability. Speak to your student’s teacher(s) and/or the Team about a more inclusive assessment of the student’s strengths and weaknesses. For example, the classroom teacher can do an informal reading inventory (IRI).IRIs assess both decoding and comprehension skills. They are made up of graded word lists and reading selections that he student reads orally. The tester notes any decoding errors and records the student’s answers to the comprehension questions accompanying each reading section. The results can be used to identify the student’s current reading skills in comparison to their current grade level. Finally, another tool that can be quickly used by a classroom teacher to assess a student’s oral reading fluency, or the rate at which students are able to accurately decode words in oral reading tasks is by the use of CBMs or Curriculum-Based measurements. The classroom teacher can use any material, including the textbook, and ask the student to read a section aloud. While the student reads aloud the teacher will time and note any errors. If CBMs are done regularly the data can be tracked to show any progress being made by the student. There is a wide array of formal assessments that can be used to assess a student’s reading ability. This article is going to highlight just two of them as it would be impossible to identify and discuss all of them adequately. With any type of measure, the assessment tasks must be compatible with the skills of the student. No student should be asked to attempt tasks clearly above their current functioning level. The tools used should reward the student’s strengths rather than punish their weaknesses. The Woodcock Reading Mastery Tests, Third Edition (WRMT-III). This test is made up several sub-tests that evaluate skills such as letter identification, word identification, phonological awareness and word comprehension. It helps to identify a student’s strengths and weaknesses in reading. The Gray Oral Reading Tests, 5th Edition (GORT-5). This test has to versions, Form A and Form B. Each form contains 16 developmentally sequenced reading passages with five comprehension questions each. It helps assess a student’s ability to read passages aloud quickly and accurately with adequate comprehension. Make reading fun again for your student. Read with them daily. If they are older, have a time during the day where everyone stops and reads and then after a set time, everyone discusses what they read with the others. There are many studies that show when children read to animals, they are less self-conscious. So if you have an animal, encourage your student to read to them. Look into programs at your local library that encourage reading and teach children that reading is a fun activity. WANT SOME LEGAL ASSISTANCE BUT NOT A FULL-TIME LAWYER? If you have ever tried going it alone and represented yourself in a legal matter before, you were called a pro se party. As a pro se party you had to figure out for yourself, the legal system as well as all the ins and outs of the rules and pleadings that were necessary. 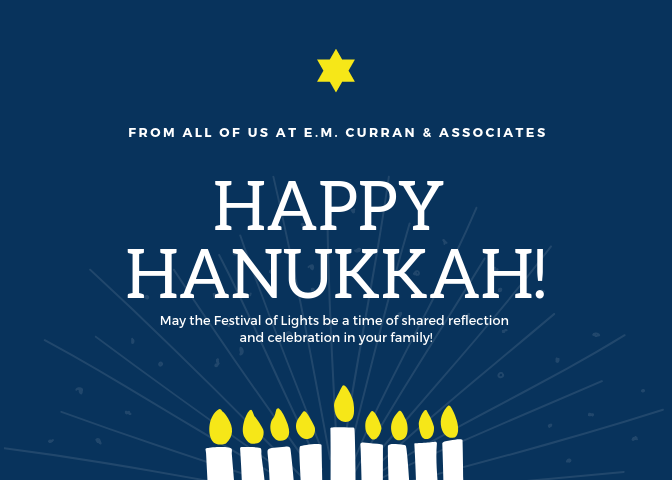 E.M. Curran & Associates LLC can help you with your legal matters in a limited capacity this is called Limited Assistance Representation or L.A.R. We can provide guidance on the rules of the court, help you fill out forms, review documents and give you feedback, help you draft responses and/or motions, and in some instances we can appear in court with you to help you with a certain part of the case. Document review: thoroughly review documents, pleadings and other written materials and discuss and explain the content to you. Consultation/Coaching: evaluate, analyze and help develop a strategy for a particular situation; given you legal advice and inform you of your options. Specific Services: assist you with a specific service such as ghost-writing a response/letter or legal research about the laws and the relevant cases. Limited-Scope Attorney Appearance: in very limited instances we can appear in court with you to help you with a certain part of the case. If your child is having difficulty with writing and spelling and has some of the common signs identified above, speak to their teacher about having them evaluated. Written language is a basic method of communication in our society. As adults, we are all expected to be literate. Literacy includes not only the ability to read but the ability to write. Writing as a skill is taught to us as students in elementary school. Students are expected to master the language, which is a system of communication using symbols (the alphabet), and composition, which is the process the students uses to create a written product. The act of writing and spelling requires the student to focus, use their memory, processing speed and handwriting. If your student has poor written expression skills, they will have difficulty with almost every task asked of them in their daily school routine. Signs and symptoms of written language disorders vary across individuals, so there are no ‘signs’ you should be looking for in your student. If your student is experiencing difficulty with writing and/or spelling, first speak to your student and ask them what they think their strengths and weaknesses are in writing and/or spelling. Maybe they just don’t like to write so they don’t put any effort into their finished product. 1. What are the student’s strengths and weaknesses in the various skill areas (spelling, punctuation, alphabet, handwriting and composition) of written language? 2. What is the student’s current level of achievement in written language? When assessing a student experiencing difficulty with writing and/or spelling the team should consider doing both formal and informal assessments. INFORMAL ASSESSMENTS should include work sample analysis (portfolios) across a period of time and if possible across the school day. Maybe the student does better with writing in the morning versus in the afternoon. The teacher and/or an aide can observe the student while they are on task. The purpose of the observation is to identify what if any strategies the student is using to complete the assigned task. Does the student not know what to do in the situation? Could they be taught some strategies and/or given some supports to help guide them in the process? Sometimes, the teacher can ‘interview’ the student to find out what they think worked well (or didn’t) for them while completing an assigned task. This interview can be straight-forward questioning but it might be insightful to ask the student to help the teacher edit/correct their written work. This will provide information about the student’s proofreading skill and their ability to spot spelling and grammatical errors. While the informal assessments are being conducted, teachers are able to incorporate scaffolding and modeling to see if those changes help the student make progress. FORMAL ASSESSMENTS should be administered by the appropriate member of the TEAM. Parents/Guardians should pay close attention to the skills measured by each test. There is no one test that should be administered. However, whichever assessment is given it should use measures of oral and written language that have been co-normed on the same standardization samples so that their results may be compared directly. Some of the more common formal assessments used when probing for written difficulties include the most current edition of the Test of Written Language (TOWL), Woodcock-Johnson IV Tests of Achievement (WJ IV), and Wechsler Individual Achievement Test (WIAT). The team should consider all of the data on the student when making decisions about specific areas of need in written expression and the instructional goals to be addressed to improve the student’s writing performance. 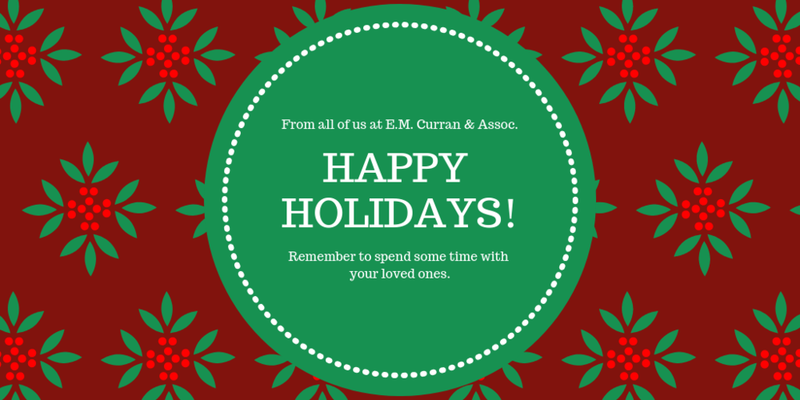 Ellen Marie Curran is an attorney licensed to practice in Massachusetts. She holds a Juris Doctorate from Suffolk University Law School, a Master in Education from Boston College and a Bachelor's Degree from Emmanuel College. Attorney Ellen Marie Curran is an attorney licensed to practice in Massachusetts. Outside of work, Attorney Curran is an active participant in her community. She is a Museum Teacher Fellow for the United States Holocaust Memorial Museum (USHMM) in Washington, D.C. as well as a volunteer at the Stone Zoo in Stoneham, Massachusetts. Although we try to provide our readers with current and reliable information, each reader should be advised to to NOT rely solely on the information stated in our blog articles. You should instead seek the advice of an attorney who knows your particular circumstances.